Over the next two years, businesses will increasingly turn to blockchain to establish trust among parties looking to transfer everything from money and movable goods to property. Over the next two years, enterprises are expected to ramp up their efforts to test blockchain technology as part of a new method of establishing trust in a digital economy. New research from consultancy Deloitte LLP shows a "trust economy" is now developing around person-to-person (P2P) transactions enabled by blockchain technology and not dependent on more traditional methods such as credit ratings or guaranteed cashier's checks. "Rather, it relies on each transacting party's reputation and digital identity – the elements of which may soon be stored and managed in a blockchain," Deloitte analysts said in a report. For individuals, the "trust" elements could include financial or professional histories, tax information, medical information, or consumer preferences. Companies could maintain reputational identities that establish their trustworthiness as a business partner or vendor. 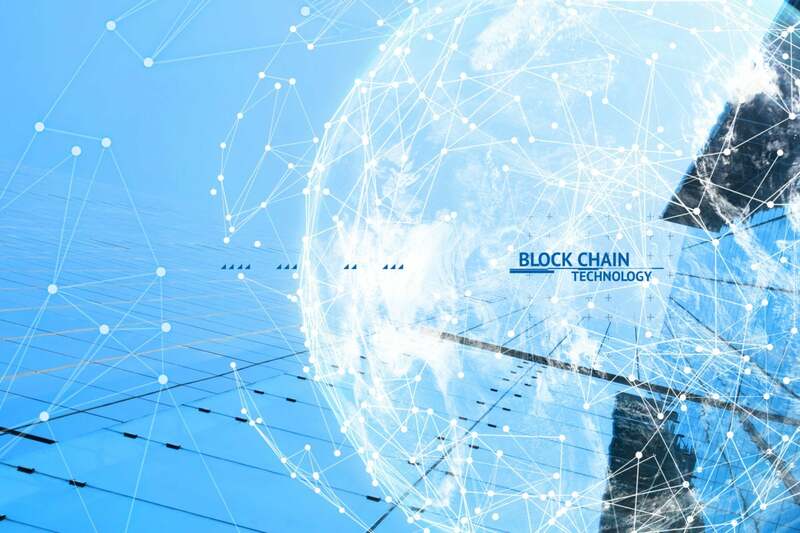 Blockchain is a public electronic ledger – similar to a relational database – that can be openly shared among disparate users to create an unchangeable record of their transactions, each one time-stamped and linked to the previous one. Each digital record or transaction in the thread is called a block (hence the name); it allows either an open or controlled set of users to participate in the electronic ledger. Each block is linked to a specific participant. Blockchain can only be updated by consensus among participants in the system, and when new data is entered, it can never be erased. The blockchain contains a true and verifiable record of each and every transaction ever made in the system. As a peer-to-peer network, combined with a distributed time-stamping servers, blockchain databases can be managed autonomously to exchange information between disparate parties. There's no need for an administrator. In effect, the blockchain users are the administrator. In the trust economy, an individual's or entity's "identity" confirms membership in a nation or community; ownership of assets; entitlement to benefits or services; and, more fundamentally, as evidence that the person or entity exists, according to Deloitte. Blockchain doesn't simply solve data access or sharing issues; it also solves a confidence problem. In the peer-to-peer trust economy, an individual user – not a third party – will determine what digital information is recorded in a blockchain and how that information will be used. Blockchain users, according to Deloitte, will work toward creating a single, versatile digital representation of themselves that can be managed and shared across organizational boundaries. Digitized renderings of traditional identity documents such as driver's licenses, passports, birth certificates, Social Security/Medicare cards, voter registration info and voting records. Ownership documents and transactional records for property, vehicles and other assets of any form. Financial documents such as investments, insurance policies, bank accounts, credit histories, tax filings and income statements. Access management codes that provide any identity-restricted location, from website single sign-on to physical buildings, smart vehicles and ticketed locations such as event venues or airplanes. A comprehensive medical history that includes medical and pharmaceutical records, physicians' notes, fitness regimens and medical device usage data. In short, as a repository of valuable data, blockchain can provide individual users with unprecedented control over their digital identities. Mean while, companies are expected to find varied uses for the still-emerging technology. "A lot of companies are interested in enterprise blockchains, and one of the big killer apps is supply chain management," said Vipul Goyal, an associate professor in the Computer Science Department at Carnegie Mellon University (CMU). "For example, as goods move from one place to another or one part of a company to another..., companies are interested in using blockchains to keep track of how goods are moving and where they are," said Goyal, who is CMU's Cryptography Group. Private or "permissioned" blockchains can also be created within a company's four walls or between trusted partners and centrally administered while still offering control over who has access to information. The three levels of blockchain in a digital trust economy. "It's the freedom of feeling like I'm doing what's in my business' best interest by being able to share whatever I want, whenever I want it, in a way that's immutable, trusted, secure," said Brigid McDermott, vice president of Blockchain Business Development at IBM. For example, IBM and Danish shipping giant Maersk have deployed a blockchain ledger to manage and track what was traditionally a paper trail of tens of millions of shipping containers moving around the world by digitizing the supply chain process. Maersk's blockchain acts as a ledger that can be used for auditing purposes while also being shared openly among partners and customers in real time. It also allows parties to settle the terms of shipping costs faster than an antiquated paper-based system, the company claimed. 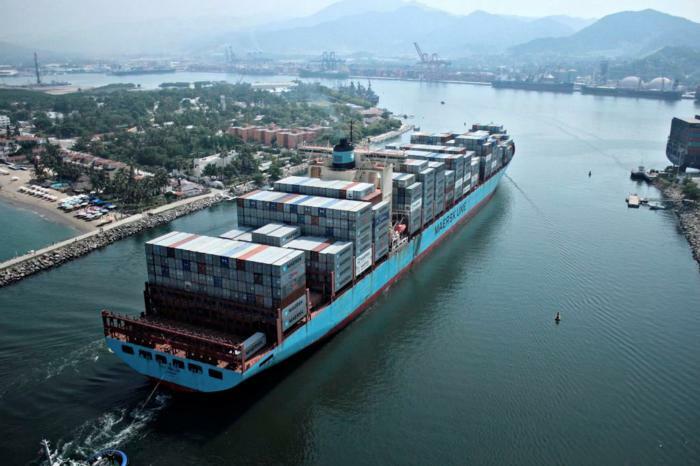 More recently, Maersk rolled out a 20-week blockchain proof-of-concept for marine insurance, using it as a way to share shipping information between insurance providers. Ninety percent of goods in global trade are carried by the ocean shipping industry each year. The blockchain from IBM and Maersk can manage and track the paper trail of tens of millions of shipping containers worldwide by digitizing the supply chain process. Additionally, blockchain networks can be used for "smart contracts," or scripts that automatically execute when certain conditions are met. For example, users of Ethereum's Ether exchange must meet pre-determined conditions that prove someone owns the cryptocurrency and have authority to send the money they claim to own. In addition, multiple blockchain users can create contracts that require more than one set of inputs to trigger a transaction. What makes blockchain so effective for cross-border transactions, whether they involve finances or goods, is the lack of central authority. Goods or money scattered around the globe cannot be easily regulated because blockchain users are distributed worldwide, according to Goyal. That creates a regulatory "grey" area that's not likely to go away in the future. Each asset, whether it's a piece of cryptocurrency such as a bitcoin or an automobile, is verified via the immutable ledger tied to a specific hash and user. The cryptocurrency or vehicle can't be sold or transferred to more than one entity at the same time. "Let's say you hold a bitcoin and you start talking to two merchants and you want to buy goods from both and you try to transfer the same coin to both. Bitcoin has mechanisms built in to prevent that," Goyal said. "The same can be applied in a more abstract fashion. Replace coins with any other asset you might have. "People are talking about placing property on blockchains. That way they don't have to worry about property disputes because it can only belong to one person," he added. Public blockchains are self-regulating because if one blockchain user gains more than 50% control of a public network – financial or otherwise – it loses validity, and its value as a distributed ledger plummets. And, if that ledger is used for trading cryptocurrency, the value of that also drops, according to Goyal. A distributed, immutable ledger can be more secure than even a centrally managed relational database because there is no single server or node to attack, Goyal said. There are typically thousands of servers sharing the blockchain data and any change to the information requires agreement among a majority of users. 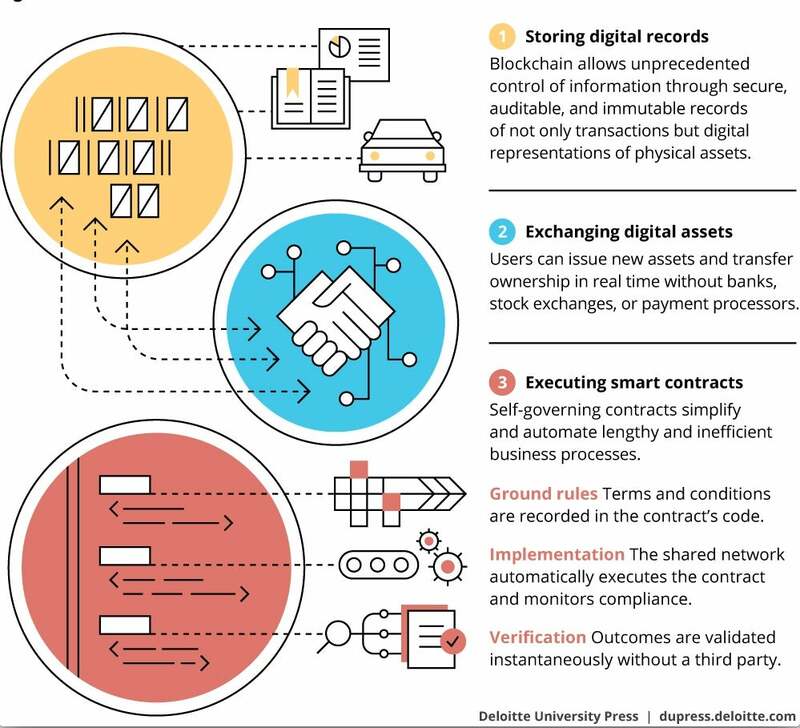 In the context of the trust economy, Deloitte compared blockchain to public ledgers that were used in towns to record everything of importance: the buying and selling of goods; the transfer of property deeds; births, marriages, and deaths; loans; election results; and legal rulings. Instead of one person or entity acting as a record keeper, a blockchain uses advanced cryptography and distributed programming to achieve similar results: "a secure, transparent, immutable repository of truth – one designed to be highly resistant to outages, manipulation, and unnecessary complexity," Deloitte said. "The blockchain/trust economy trend represents a remarkable power shift from large, centralized trust agents to the individual," Deloite stated. "And while its broader implications may not be fully understood for years to come, it is hardly a death knell for banks, credit agencies, and other transactional intermediaries. It may mean, however, that with blockchain as the gatekeeper of identity and trust, business and government will have to create new ways to engage the individual – and to add value and utility in the rapidly evolving trust economy."